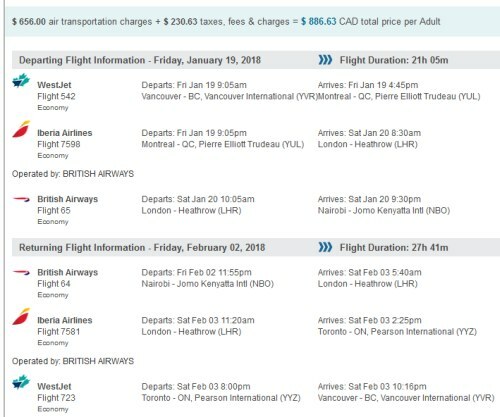 There are flights available from Vancouver to Nairobi, Kenya for $886 CAD roundtrip including taxes. This is about 30% below the typical best prices from Vancouver to Kenya. 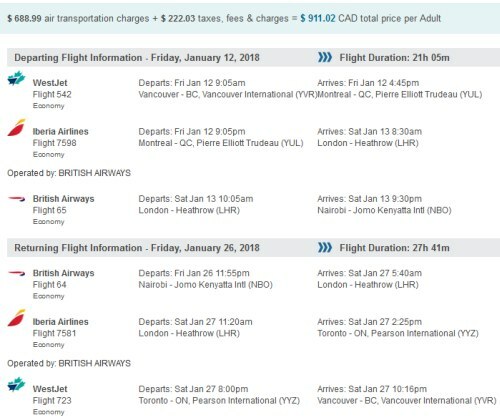 vancouver, yvr, flight deals, westjet, africa, eastern africa, nairobi, kenya, nbo and british airways.